Putting the magic back into menstruation, showwoman and artist Dr Marisa Carnesky breaks the last unmentionable taboo in order to reinvent menstrual rituals for a new era. Drawing on the hidden power of a forgotten matriarchal past this is an all out genre bending contemporary performance spectacular. Delivered with tongue in cheek reverence, the show embodies a live art/cabaret crossover - mutating between a bizarre anthropology lecture to a magic stage show, to a feminist, activist ritual. 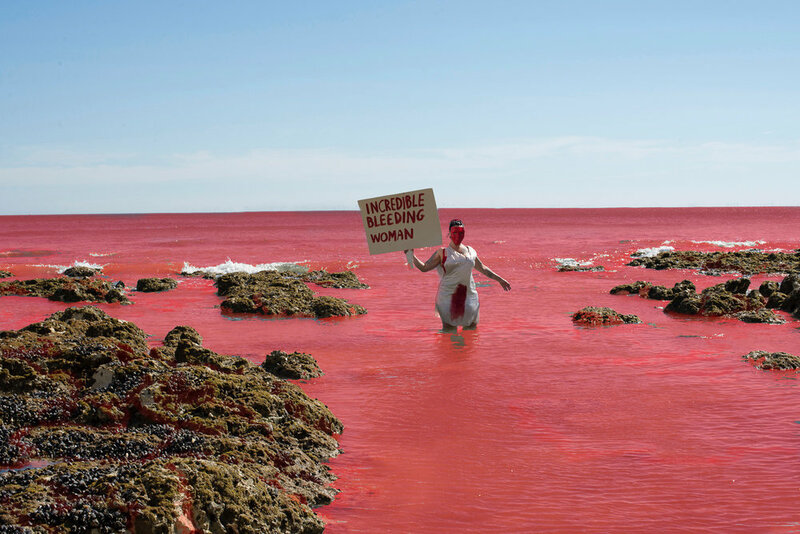 Referencing representations of women and blood from ancient mythology to classic horror movies, menstruation takes centre stage in a profound exploration of what it means to be ‘female’. Issues around fertility, body shame, taboo and lost ancient herstories are scrutinised, politicised & reclaimed. With a potent brew of surrealism horror and parody, Dr Carnesky presents mind-blowing menstrual rituals utilising all manner of skills, tricks and props and an unstoppable flow of sheer heart and soul. Passing Through is one of several outcomes of Julie and Robbie's ongoing collaboration.